Botox® is an effective treatment for reducing wrinkles and fine lines to achieve a younger looking face. Botox® is a quick fix for those worried about appearance and the results can last up to six months. 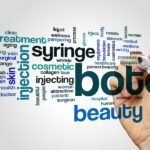 However, to get the most out of the treatment there are certain before and after Botox® instructions patients should follow. The International Association for Physicians in Aesthetic Medicine (IAPAM) has prepared a guide on how to prepare for the procedure and the Botox® aftercare treatment for administrators, to ensure patients attain the best possible results. The IAPAM is dedicated to providing valuable information to Botox® administrators so they can provide the best possible care to their patients. The medical administrator must ask the patient for their complete medical history to determine if Botox® is a suitable treatment for them. They must be aware of all medical illnesses, diseases and conditions and whether the person has undergone any surgeries or procedures in the past. It is also important to ascertain if the person is pregnant or nursing a child. The Botox® administrator should inquire about medication, herbs, supplements and other drugs the patient is taking and whether they have any allergies. The patient receiving the Botox® injections must stop taking blood thinning medication at least a week prior to Botox® injections. They need to avoid Aspirin, Advil, Excedrin, Vitamin E supplements and natural sources such as Fish oil, Ginseng and Gingko Bilbao. This will help prevent any bruising after the Botox® treatment. All pain medications are to be avoided except Tylenol. Another important Botox® pre-care instruction is to cut down on alcohol in the days leading up to the Botox® procedure to prevent bruising. The IAPAM recommends that with first-time Botox® users, a thorough examination of the patient’s face should be conducted with a comprehensive discussion regarding the patient’s expectations from the treatments. This can help decide whether Botox® would be the right course of action for them as Botox® can only target certain problem areas. The patient should be briefed about the Botox® procedure and not form any unrealistic expectations regarding the results. They should be told about all the side-effects and success rate of the treatment to save them from any disappointments after the procedure. If it is decided that Botox® is the right solution for the patient’s problems then the next step is to decide which facial regions need to be treated. It is important to ask patients what their definition of an ideal result is – as sometimes the patient and medical professional might disagree on it. The targets of the Botox® administrator should align with the patients. The IAPAM recommends after the Botox® injections, that a patient should take certain precautions and follow these after Botox® instructions to achieve the desired result and let their face heal quickly. The patient should exercise the injected areas by trying out natural facial expressions for an hour after they are injected to help Botox® spread throughout the face. Patients must avoid massaging the Botox® injected areas with their fingers for a few hours after the procedure, since the Botox® may spread to unwanted areas. Painkillers should be used sparingly following the Botox® injection for headaches or facial pain. Strong painkillers such as Aspirin and ibuprofen should be avoided at all costs. Bruising may occur from Botox®, which may last a couple of days. It is important to let patients know that this is normal and can be managed by applying ice to the affected area. Some people can also be prescribed topical ointments to speed the healing. Facial treatments such as chemical peels and microdermabrasion should be avoided for 24 hours after the Botox® is injected to prevent any reactions and complications. Botox® patients must limit physical activity because if the Botox® spreads to unwanted areas it can cause breathing and swallowing problems. The patient must not lie down or bend for a couple of hours after they are injected. Alcohol intake is to be restricted for those who have had Botox® treatments done. It will only slow down the healing process and worsen any complication or side-effect that might occur due to the Botox® injections. If the patient experiences an extreme side-effect following the treatment they should immediately contact their doctor for professional medical help. Medical administrators who advise their patients of these before and after Botox® measures will help them achieve a better Botox® experience and better Botox® results.